Synopsis: A man must struggle to travel home for Thanksgiving with an obnoxious slob of a shower ring salesman his only companion. Review: Here’s a movie I’m really, truly thankful for. 30 years (!!!) after its original release, Planes, Trains and Automobiles is a gift that has kept on giving to countless people throughout the year but especially at Thanksgiving. Writing this review in 2017 as I’m about to hit the road to celebrate the holiday with family, I knew I had to get my annual viewing of this one in a day before the big Turkey Day. Revisiting this one is like meeting up with an old friend who tells the same jokes but still delivers them with a master’s precision. It’s two days before Thanksgiving and marketing exec Neal Page (Steven Martin, Parenthood) is rushing to catch an early flight home to Chicago to be with his family for the holiday. If only he could make it to the airport. In mid-day NYC rush hour traffic, he races for a cab with another big shot (Kevin Bacon in a cameo done as a favor to John Hughes right before they made She’s Having a Baby together), gets his cab stolen out from under him by an unseen man toting a large trunk with him, and arrives at the terminal to find his flight delayed. That’s where he meets Del Griffith (John Candy, Splash), a portly shower ring salesman that turns out to be the cab thief. When their plane is diverted to Kansas on account of the weather, Neal and Del become unlikely travel mates as they work together to get back to their families. Hughes was on a real roll at this point, having just come off of directing back to back to back to back hits that have become seminal favorites (Sixteen Candles, The Breakfast Club, Weird Science, Ferris Bueller’s Day Off) not to mention writing National Lampoon’s Vacation, Pretty in Pink, and Some Kind of Wonderful. This was his first movie to deal with real adults and it’s a marvelous pairing of a perfectly assembled cast with Hughes’ hilarious (if episodic) script. There’s not a single boring moment in the movie, pretty remarkable considering how hard it is to sustain comedy for any length of time, let alone 92 minutes. The movie is filled with classic scenes. Martin and Candy waking up in their small hotel bed in an awkward embrace, Martin’s hysterically foul-mouthed run-in with a car rental agent (Edie McClurg, Elvira, Mistress of the Dark), Candy driving cross-country and accidentally getting both of his arms stuck behind him while Martin sleeps, the list goes on. Hughes is smart enough to have Del be the catalyst for a joke but not make him the ultimate target, to do that would be too cruel to be funny and that’s not what he’s interested in. Martin is great as the tightly wound Neal who alternates between hating the schlubby Del and hating himself for the way he treats him. It’s not hard to see why Neal gets so frustrated, either, because Del does himself no favors. He’s a slob, he takes all the air out of any room he’s in, he doesn’t recognize normal social signals, and he has an uncanny way of destroying anything he touches. Still, in Candy’s brilliant hands he’s a lovable dude and by the time the movie reaches its surprisingly emotional zenith, you’ll probably be like me and wiping tears away. Oh yeah, I cry every time I watch the movie…I know I will and have accepted it at this point. On a personal note, I can’t watch this movie without remembering my late father’s howling laugh when I first saw it. I can still hear him roaring at Candy’s cluelessness and Martin’s slow-burn reactions. This was a family favorite of ours and while my dad isn’t here to watch it with me, I think of him constantly when I put it on. 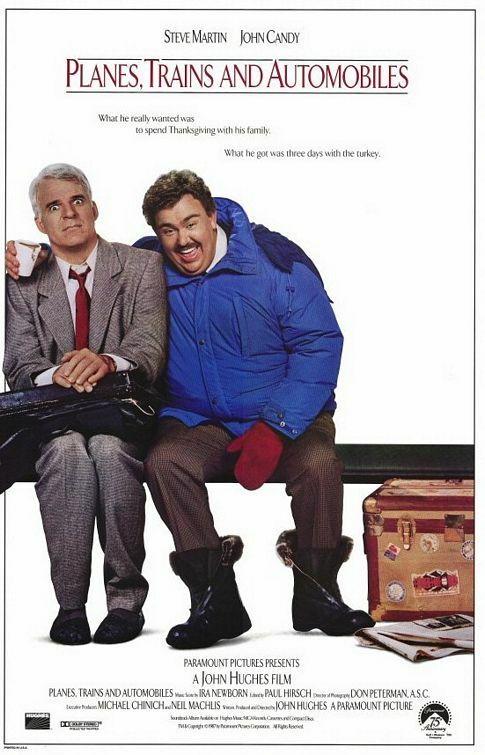 I watch a lot of movies and don’t always take the time to go back and rewatch many films…but there are exceptions and Planes, Trains and Automobiles is certainly one of them. 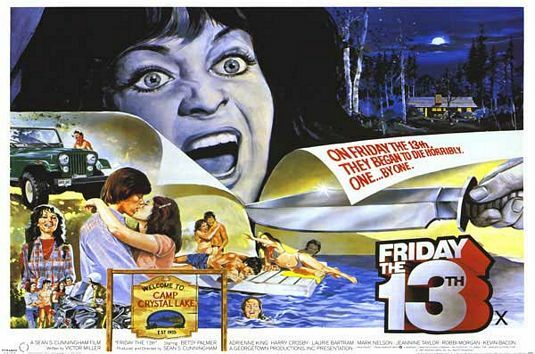 Synopsis: A chronicle of the history of the Friday the 13th franchise. 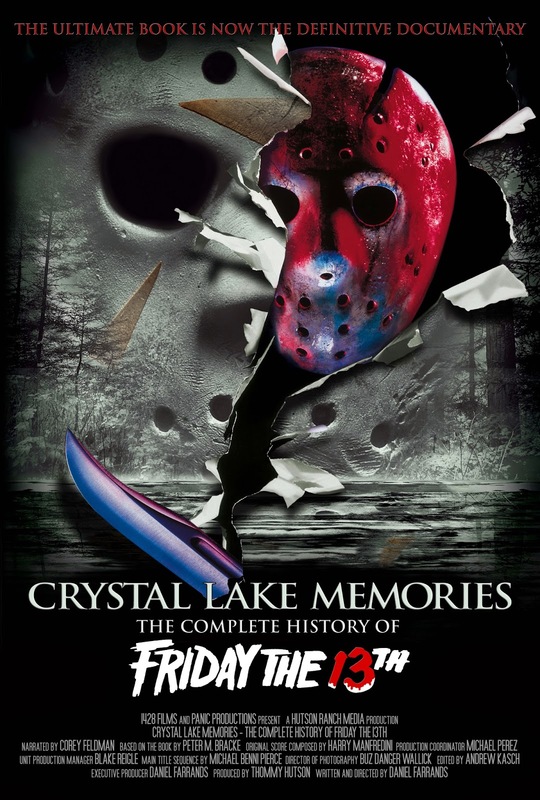 Review: There are documentaries on the making of films and then there’s Crystal Lake Memories: The Complete History of Friday the 13th. Based off the excellent coffee table book published in 2005, this documentary from 2009 is the Holy Grail for fans of the Friday the 13th series and all its many, many…many sequels. Though I had already pored over the book several times and knew many of the behind-the-scenes info about the making of the films, the documentary brings these and so much more to life in a watchable format that you’ll be hard-pressed not to devour in one sitting. The first time I watched it I actually had to stop myself from taking in all 6 hours and 40 minutes at once, opting to break it into three segments and extend the fun. Each movie gets its own chapter and so does the short-lived TV series, all put in chronological order. Often the discussions of the individual films are supported by events going on in the world at the time they were made and released so it’s helpful to watch this in order without skipping around too much. What surprised me was while the first film obviously gets a little more time spent on its genesis and production, the subsequent sequels are exceedingly well-represented by cast members and the different filmmakers that were involved. Often these specific types of genre documentaries are padded with nerds (ahem, fans) that fill in many of the gaps but here there are enough of the key players involved that the fan representation is blessedly kept to a minimum. Another positive is that there’s little to no sugarcoating the discussion of the films and the logic gaps each new entry brought. Bad acting, tepid scripts, and production difficulties are put out there for public consumption and everyone seems to own their part of the good and the bad. It’s all largely kept light and airy; so while there are some instances where you can tell there’s more to the story, the point is not to do a deep dive into the wrongs of the series but instead to keep the focus on how the franchise was a miracle money monster of its own. Usually around this time of year I get the urge to throw this one in again and revisit some of the segments that may not be as fresh in my mind or to follow-up after watching one of the sequels to get more insider info. For horror fans, this a must watch, if not an outright must own. Filled with great extras and deleted scenes that didn’t make the final cut, it’s a whopper of a documentary and worth having in your collection. Check out my reviews of Friday the 13th, Friday the 13th: The Final Chapter, and Jason Lives: Friday the 13h Part VI! Review: Though I’ve watched quite a few of the big screen offerings boasting the name National Lampoon, I don’t think I’ve ever actually seen the bawdy, rule-challenging magazine that started it all. Those in the same boat as me will be well served to devote some time to Douglas Tirola’s Lampoon love letter Drunk Stoned Brilliant Dead: The Story of the National Lampoon because it gathers nearly every living member that was a major contributor to the magazine and films, detailing how the magazine rose to record high circulation before crashing and burning near the turn of the century. The ground-breaking publication had a 28 year run starting in 1970, born as an offshoot of sorts to the Harvard Lampoon, a chaste satire magazine that I’m pretty sure didn’t feature as many bare breasts as its wicked cousin. Attracting some of the best and brightest in young comedic talent, the magazine grew to phenomenal popularity in pop culture and found its players turning up on a radio shows, stage plays, and, eventually movies. 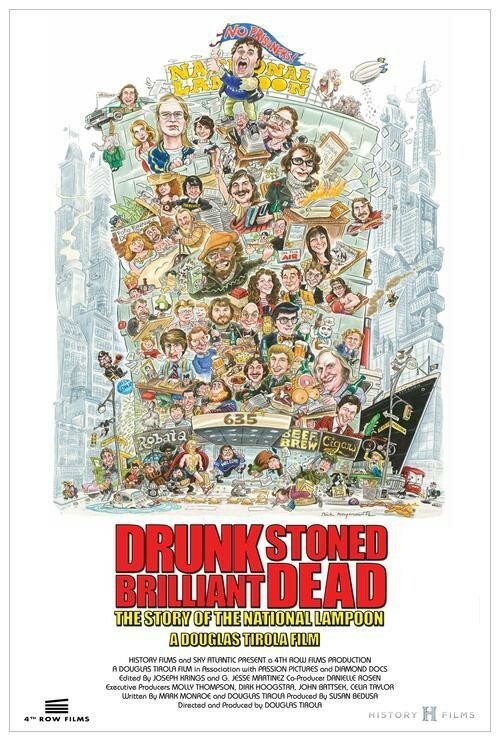 The timing seems right for this documentary, coming on the heels of the numerous retrospectives that surrounded the 40th Anniversary of Saturday Night Live. Looking at the members of the National Lampoon that were eventually lured away to form the original cast of SNL, you get an even greater sense as to where they cut their satiric teeth before achieving the national spotlight every Saturday night. It’s a fairly straight-forward documentary with good sound bites presented by people with names we recognize more for their behind the scenes contribution than anything onscreen. Though they are now older and (maybe) wiser, the wealth of timeworn photos show that in their heyday these people partied hard and produced a ribald humor magazine that was a counter-culture phenom of its time. It’s hard to know if such a thing could happen in this day and age, making the National Lampoon a time capsule of sorts for how things (and people) (and humor) used to be. The Silver Bullet ~ R.I.P.D. 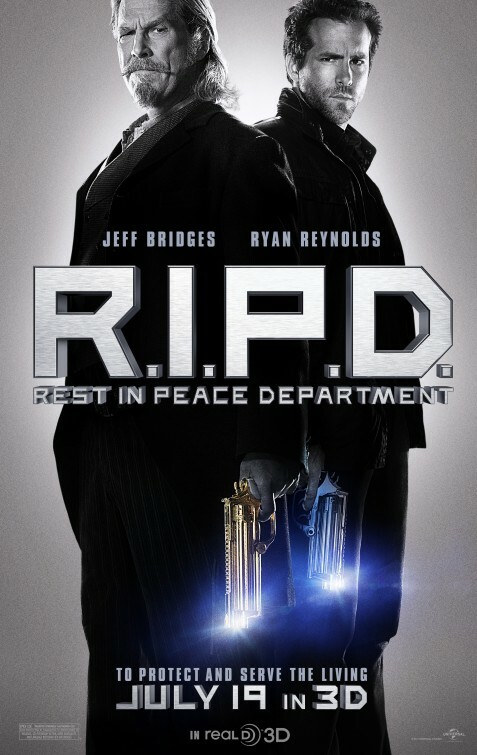 Thoughts: After watching the trailer for this summer’s 3D sci-fi action comedy R.I.P.D. I have some good news and I have some bad news. Ok…bad news first. Though it’s an interesting concept this looks remarkably like a reboot of the Men In Black series and even though Men in Black III was a nice diversion I don’t think we need something so similar so soon. Now the good news: I think the cast might just save this one with Oscar winner Bridges letting his hair down and allowing his accent to do most of the work. Mary-Louise Parker is always an interesting addition to any film and she’s re-teamed with her RED director Robert Schwentke who knows his way around a tongue and cheek energized flick. Ryan Reynolds hasn’t quite yet made it to proven leading man status and this might be the litmus test for how he fares in the future. Review: There are some movies that bring up a lot of memories when you hear the title and for me just hearing the name Flatliners takes me back to the summer of 1990 when I anxiously awaited the August release of this thriller. I recall the movie was released when my family was at our cabin and I wouldn’t be able to see it until we returned to the cities but it wasn’t long until my dad took me (hey, I was still underage for an R-rated movie!) to Yorktown 3 for a weeknight showing. Flatliners has always been a guilty pleasure film for me with its over-the-top concept, stylish direction by Schumacher, and enjoyable performances by a cast that have all gone on to bigger and better things (well, maybe Baldwin excluded). Revisiting the film again recently, I found that it still packed a nice little punch even if my adult eyes saw many of the cracks that previously went over my head. Schumacher was a hot director at the time and was still riding the successful high of The Lost Boys three years earlier. His remake of a French romance (Cousins) was well-received yet Schumacher would change course again to deliver what may seem like a horror film but is really more of a drama-thriller. Re-teaming with one of his Lost Boys (Sutherland) and nabbing shooting star Roberts (who filmed this before Pretty Woman was released in March of 1990) was a bit of a coup and both actors, along with Bacon, Platt, and Baldwin formed a nice quintet of players as medical students pushing the line between life and death. Sutherland has always been an interesting actor (much like his father, Donald) and he turns what could have been a one note hero/anti-hero role into a guy with some depth though it’s masked by a false bravado. Film history has established that doctors have a God-complex and that notion is played up as the medical students each take turns ‘flatlining’ in an after-hours illegal pseudo-study group. It’s when they are brought back that, unbeknownst to them, they bring something else back with them. Essentially, the same scenario is replayed over and over again as each of our leads has a different experience in the thin line between heaven and earth. All of the post-revival happenings are menacing in one way or another but none are of the serial killer variety…though the film’s preview tries to trick you into thinking they are. Sutherland begins to be terrorized by a boy from his youth, Roberts sees her dead father, and Baldwin’s seedy past comes back to haunt him. The secret to Bacon’s struggle seems to parallel what Sutherland is going through but a surprisingly emotional twist brings the film its best scene between Bacon and someone from his past. 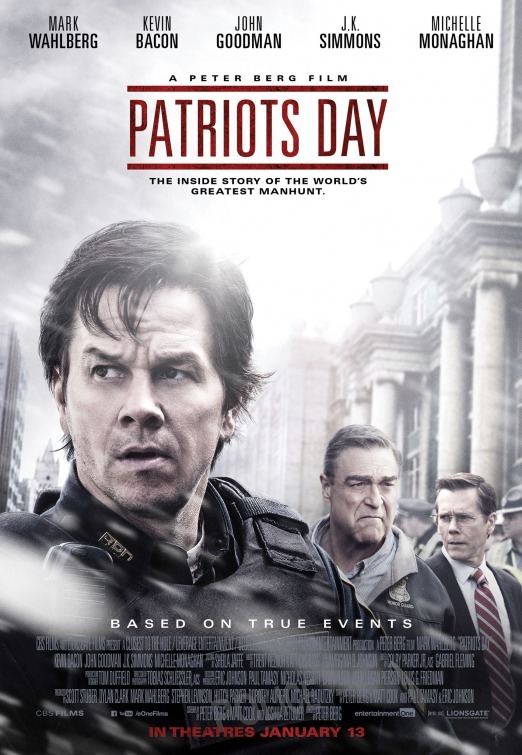 This could have been made by any number of directors with any combination of actors but the group that has been assembled strongly delivers a thriller even with its definite B-movie origins. Elevating it slightly is James Newton Howard’s alarming score and Jan de Bont’s excellent visuals. The film was shot around Loyola University in Chicago and Schumacher mines the campus and its gothic design for all it’s worth. Flatliners does fall, um, flat in the middle section but I’ve always responded well to the movie in my numerous viewings of it throughout the years. Yes, the basic plot stretches the bounds of any logical credibility and in hindsight much of it doesn’t line up but I’m willing to forgive a lot from a film that has its eyes and ears in the right place. From a visual standpoint alone the film is recommended, and if you’re looking for a slick thriller from the 90’s that isn’t too horribly dated, you can’t miss with this one. Synopsis: Camp counselors are stalked and murdered by an unknown assailant while trying to reopen a summer camp that was the site of a child’s drowning. In May of 1980, the horror boom was not yet upon us and John Carpenter’s 1978 masterpiece Halloween was still the pinnacle of what could be done with a small budget and big scares. The rampant plague of sequel-itis hadn’t spread around Hollywood because the films that spawned these endless repeats weren’t around yet. If Alfred Hitchcock’s Psycho is the granddaddy of the slasher film then I would consider Halloween and Friday the 13th as twin fathers of the genre that started a movement in the film industry that still exists today. Like Halloween and A Nightmare on Elm Street, the first film of the series is unquestionably the best…and remains to this day one of my go-to films for its excellent first hour, healthy performances, and ingenious scares. Director Cunningham works with Victor Miller’s thin script and creates a real fine thrill ride…drawing out the suspense so long that it’s easy to feel the last half hour is a bit of a letdown considering how much build up there’s been up to that point. Cunningham sets up the menace right out of the gate by taking Carpenter’s brief use of point of view camera work in Halloween and making it almost an entire character in Friday the 13th as the unseen killer stalks the counselors as they prepare to open a summer camp long-since closed. When I was young, these types of movies were all about the blood and the gore but as an adult I have to give a lot of credit to the director for making a film that transcends its smarmy but humble plot. Viewing the film again for the first time in a few years, I found myself getting genuine chills along the way. From its frightening freeze frame pre-credits image to several fiendish kills that still give me the willies after all these years, Friday the 13th doesn’t show its age as a thirty two year old movie. I think it’s actually gotten better with age as the simple efficiency it employs feels refreshing in our current film climate of bigger, better, faster, meaner. As I mentioned before, the first hour of the film is really a striking cat and mouse game…where the mice don’t have a clue as to the kind of trouble they’re in. The finale of the movie where the killer is revealed (I’m not going to say it here but it’s such a cultural touchstone that at this point who doesn’t know?) is when the movie starts to become less interesting. That’s partly the fault of the actors involved with this sequence, partly the fault of Cunningham for not marinating the grip he’s had on our throats, and mostly the fault of the script that I’m guessing didn’t have a lot more to say. It does bounce back nicely in the famous final minutes, though, so all is quickly forgiven in my book. Cunningham gets solid if unremarkable performances from his cast – this was still early enough when good actors could be recruited for horror films and before acting in one became a mark of shame. Like Halloween, this first Friday the 13th was an independently financed picture that was eventually purchased and distributed by Paramount Pictures. A healthy cash cow for the studio over the next decade, the Friday films would run from very good (Jason Lives: Friday the 13th Part VI and Friday the 13th: The Final Chapter) to the schlocky (Friday the 13th: 3D) to the just plain wrong (Friday the 13th: A New Beginning). If you want to get the job done…stick with the original trip to Camp Crystal Lake.